milk is increasingly popular. But why is goat milk and Nigerian Dwarf goat milk in particular so popular? Goat milk is easier for humans to digest than cow’s milk. It’s naturally homogenized, with smaller fat particles evenly suspended throughout the milk. It contains vitamins, minerals, trace elements, electrolytes, enzymes, and proteins that are easier for humans to assimilate than similar content in cow’s milk. For these reasons, it’s typically digested in 20 minutes; whereas it can take 24 hours for humans to digest cow’s milk. People who suffer from lactose intolerance may find that goat’s milk is a good alternative. Goat milk contains less lactose than cow milk and since it passes through the digestive system so rapidly, many who suffer from lactose intolerance have no difficulty with goat milk. Goat milk doesn’t contain the complex protein compounds that stimulate allergic reactions to milk. People experiencing bloating, diarrhea, asthma, and irritability after consuming milk are usually suffering an allergic reaction to cow milk caused by these complex proteins. Goat milk; however, can typically be consumed without triggering these reactions. Because goat milk soothes the digestive tract, is typically accepted by those with lactose intolerance, and doesn’t trigger milk allergies; it’s often recommended for infant nutrition and treatment of coronary diseases, cystic fibrosis, Crohn’s disease, intestinal disorders, gallstone problems, and many others. 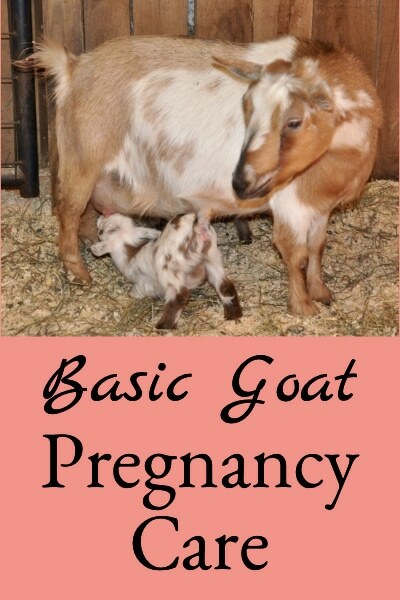 For all the statistics on the benefits of goat milk, check out this LINK. Among the dairy breeds, Nigerian Dwarf goat milk has the highest levels of butterfat, making it so creamy that it’s often preferred over cow’s milk. 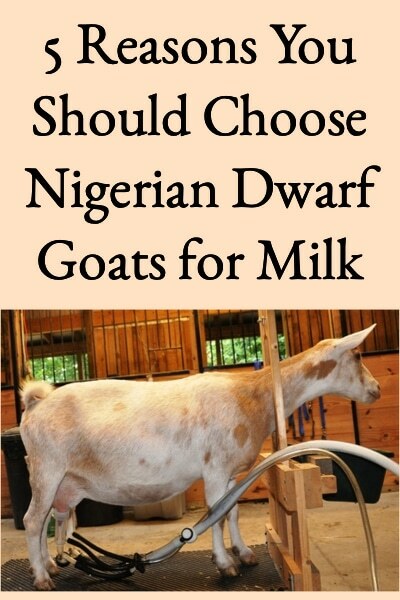 Nigerian Dwarf milk has approximately 6 – 10% butterfat, as opposed to approximately 2 – 6% for other breeds. Since butterfat is what gives milk its sweet flavor, it’s the sweetest, richest milk of all the dairy goat breeds (read “What Does Goat Milk Taste Like” to get an idea of how it tastes). Most dairy goat breeds can only be bred seasonally in the fall; which leads to a glut of milk in the spring after kidding has occurred, but milk shortages in later seasons after the does dry up. Nigerian Dwarves can be bred in any season; however, so kidding can be staggered to assure a constant supply of milk. 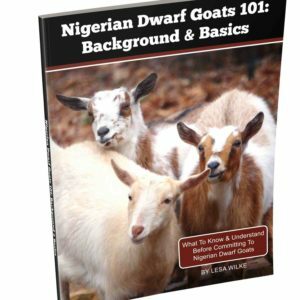 Nigerian Dwarves are only about 20” tall and typically weigh less than 75 pounds, making them much easier to handle and house than the large dairy goat breeds. They’re similar in size to a medium to large size dog and are fine-boned, proportionately small dairy goats (not the stockier Pygmy goats). Given their small size, two can live in about 20 sq. ft. of space (if they have outside pasture space), making them feasible in both rural and suburban environments. Some cities have even begun to allow Nigerian Dwarf goat does. Because of their small size, even small women and children can easily milk and handle Nigerian dwarves. And most people handling livestock would rather have their foot stepped on by a 75-pound goat rather than a several hundred pound goat (and it will happen). 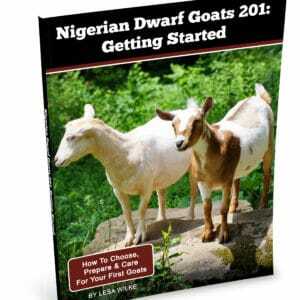 Good quality registered Nigerian Dwarves can typically be purchased from breeders for around $500 per goat, whereas the larger dairy breeds are typically more. It’s, therefore, less expensive to start with a few Nigerian Dwarves than other breeds. Nigerians are also notoriously prolific, usually producing between 2 – 5 kids each freshening, so a milking herd (of whatever size desired) can be built in a very short time. Nigerian Dwarves are also more affordable to maintain. From an efficiency standpoint, goats convert their food into milk more efficiently than cows; and among the dairy goat types, Nigerian Dwarves convert their food more efficiently than any other dairy breed. And goats like to browse rather than graze so a traditional pasture isn’t required like it is for cows. They can be turned loose in “wooded” pasture areas where they’ll help control poison ivy, blackberries, multi-flora rose, etc. – all those things we tend to consider nasty weeds, they think are tasty. As with anything, it’s important that the milk from Nigerian Dwarves is handled properly and that the goats are properly cared for; however, it’s popularity is on the rise because it’s so nutritious, healthy, delicious, convenient (relatively speaking), and cost-effective. For those interested in producing or obtaining the highest quality milk, the Nigerian Dwarf goat is increasingly the answer. « Fresh Eggs – Washed or Unwashed? Hi Amber, goats are herd creatures so they really need to be housed with a buddy. So, you could put a doe and wether together in a pen but a doe and buck in separate pens isn’t a good idea. Neither is housing doe with a buck. I have two Nigerian Dwarf does and a buck all together. They have the run of the farm. The milk is wonderful and Tommy is not a “stinky” buck. the only time I’ve ever seen him pee on his beard is when we kept a buckling too long and he got competitive. I used to have Nubian goats for milk and would raise the kids for goat meat, would Nigerians be too small to raise for goat meat? What do you do will all the excess kids? Many Nigerian Dwarf breeders raise the excess male kids for meat, so no they’re not too small. So far, we haven’t done that and have been able to sell all the kids (but many of the boys are wethered to make pets). I breed Nigerian dwarves and oberhasli’s. I love them both. Although nigies are cheaper in the long run to feed and house. The start up cost is much more. You can find Nigerians for $300 but I have paid $250 for a full size breed with better breeding lines. You have a great blog and beautiful pics btw. Lesa, I have been searching the internet for the calorie count and nutriient breakdown of “Nigerian Dwarf” milk. It HAS to be different than “regular” goats milk! Would you happen to have that information? I also have Nigerians. I researched all the other breeds before deciding on Nigerians. I absolutely hate the taste of goat’s milk. Love raw cow’s milk…but didn’t want to deal with a cow! 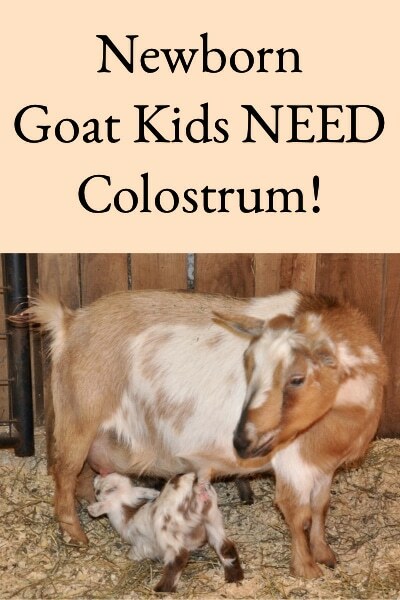 I was looking for a goat breed that would closely mimic the taste and butterfat of raw cow’s milk(RCM). The milk of the Nigerian Dwarf “IS” wonderful and very close in taste to RCM! The butterfat makes a huge difference! I wanted to make soaps/lotions, yogurt, kefir, ice cream, etc. Nigies are easy to care for and house. They are easy to handle, and easy to milk. Everyone that I’ve had try the milk, is amazed at the taste! I breed for the highest butterfat. Because I do, I have a little less volume of milk. That is fine with me! Right now I have 6 freshened, 4 dry (will be bed in the fall) and 18 (7 doelings)spring babies! They’re so stinkin’ cute!! I’m looking for a higher fat content and would like to make contact with you. Not a fan of posting my email on an open website so I’m not sure how. We have a woods rather than pasture. A worthy portion of the woods tends to be swampy, especially in spring and fall. Also we have many dead trees coming down, much faster than we can keep up with, consequently our woods is a mess. I do keep full size goats but just lost my milk goat and am wondering if Nigerian Dwarfs would do OK in a tumble down, often wet (part not the whole) woods or am I better off staying with the larger breeds? 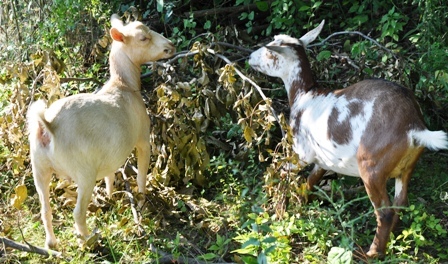 Hi Laura, We also have woods rather than pasture, and the Nigerian Dwarf goats prefer woods. There are quite a few dead trees in our pasture too, and it doesn’t seem to bother them. Our Nigerian Dwarf goats really don’t like wet, whether it’s being rained on or walking in it, but they just avoid areas that they think are too wet. So, I think they’d be fine in your woods, they’re pretty tough little goats. Some confusion about size. While this site and many others report a mature size around 75 pounds / 35 kg, I also find some sites which cite them at only 9 kg (for example, http://www.livescience.com/52540-goat-facts.html). I assume that they’re wrong, given that you actually raise dwarf nigerians? Are there actually goats out there which are that small as adults, and do they actually produce similarly relative to size (aka 9/35 = 26% as much)? I find lots of talk about West African dwarfs, but I assume those are different? Their peak size seems reported at 20-25kg, still a far cry from 9kg! 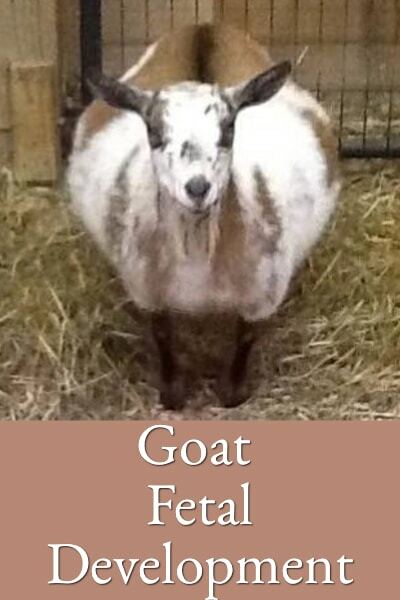 The Nigerian Dwarf goat originated in Africa, so I would think that some form of this goat would be available there. The original goats imported from Africa into America have been bred for improved milk production; however, they are a relatively new breed in the US. I LOVE NIGERIANS! They give sweet milk, and the babies are some of the cutest little things! We saw some Saanen wethers at fair once, and they looked FREAKISHLY HUGE next to our little Minis! I love the way that the our girls are so easy to control. I tried walking an Alpine doe, and she stepped on my hands and feet three or four times. At least when Blossom steps on my feet she only weighs about 45 lbs. Hi Tessa, yes I agree – there are many things to like about the Nigerians as opposed to the larger breeds! This is some really awesome information! I’m growing very interested in raising some Nigerian milking goats. I was curious where I should start? I live outin the country and my family owns land so I would eventually like to raise enough goats to milk myself family and friends. 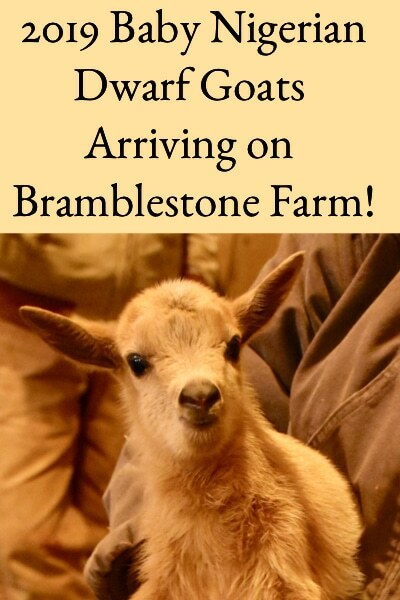 I’m in Ohio was curious if oyu knew any nigerain dwarf goat breeders in the area? Do you know how many carbs are in the milk? I can’t find specific nutritional info about Dwarf Nigerian milk but going by the label on the Meyenberg Goat milk that is carried by walmart. One quart – says there are 11 carbs per serving and there are 4 serving. So 4 cups per quart makes it 11 carbs per cup. But I don’t know what type of goats milk Meyenberg uses. We have 3 Dwarf Nigerians and we are very pleased with them. I make cheese and butter on a regular basis. This is very interesting…I really like the sound of all this. So do you take your goats somewhere and get them fertilised or do you have one male? Hi Elise, we initially started by taking our does to a breeder to have them bred, then bought our first buck, and now have 3 bucks on site with room for several more. I hope I don’t sound silly but I have 2 questions. If I get a doe and a buck and I need to keep them separately do I need 2 of each =4 so they aren’t lonely? Or can they be in separate pens as long as they can see each other just not Touch? Also do they get along with Sheep? I’d like to raise both, one for milk the other fiber and I haven’t got a lot of pasture. Ruthey, yes if you get a doe and a buck, then you really do need to get a companion for each of them. They need someone to play with, socialize with, etc. You do not have to get another doe and buck however, you could just get them each a wether as a companion – they are usually around $100. They do generally get along with sheep, and another option would be that there are fiber goats that you can get. Thank you. So I guess to clarify, can the companion to a goat be a Sheep? Yes, it’s possible, but they have very different needs. You would need to learn to accommodate them both. I would want to start them together at a young age too. I have just become really interested in having goats, primarily for milk. So a doe typically averages 2 quarts of milk per day? Do you recommend keeping at least two so they can have a friend? How big of pasture/backyard would be good for them to roam? Thanks for your advice! Thanks for this information. You helped me so much. Hi there, I was just wondering what goat hobble you are using on your nigerians? I need to get one but I have read that some of them out there are too small. Thanks! Ruthie, I was on-line at Hoeggers and saw this hobble: http://hoeggerfarmyard.com/xcart/Goat-Hobble.html It looks somewhat adjustable. Thanks Lesa, maybe I should start trying to train them young as you have done. Thanks for the link, if I have a fighter, I just may get that. I agree with Cliff. In no realm of imagination do full-size dairy breeds cost over $1000 on average. Yes, some outstanding animals will cost over 1k, but that is by no means average. Point number 1 applies to all goat milk, not just Nigerian. Point 2 is very valid, like drinking half and half. Point 3 is probably the best reason of all, though I milk LaManchas through easily enough for milk throughout the year. Point 4 is good, but don’t disregard their ability to get over low fences. I think Nigerians are one of the most nimble breeds. Point 5 is just downright wrong. The cost of a quality full sized dairy goat and a quality Nigerian is close to the same. Yes, you can find some much higher priced animals from large show herds for $1k or more, but I see the same price ranges for Nigerians listed. Hi Cliff, I agree that point 1 applies to all goat milk, but on point 5 I think there is some merit in Nigerians being more cost effective. They typically cost less to feed and house; and good quality Nigerians generally cost less than similar quality in standard breeds. 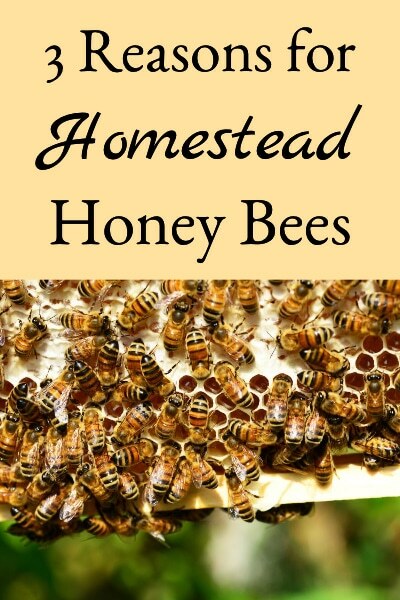 Especially for folks who are getting started, I think it’s very important to get good quality (it costs less in the long run and folks don’t get disappointed with the way the milk tastes, or the goat milks, or experience other health issues). With a little care, I think a beginner can get a great Nigerian Dwarf for $500, but I’m not convinced that’s true with the other breeds. I’m sure someone with experience who knows what they’re looking for can, but I hate to set unrealistic expectations for those starting out. Lesa, I have a nationally known herd and my most expensive animals are $500 out of proven does. Typically for $500, someone just starting out can get a milking doe producing between 6 to 9 lbs/day and a kid and I don’t sell anything I would not keep if I had the space and energy. You may have a point with slightly lower cost for feed, but this is balanced out by the greater amount of maintenance for the same milk production (8 hooves vs 4 hooves, etc.). I can also attest to the number of people who have difficulty with milking Nigerians, due to their small teat size. Don’t get me wrong, Nigerians are a great dairy breed. They have a definite place among the full sized goats for several of the other reasons you have outlined. Price of starting out your herd as compared to the full sized breeds is not one of them. Cliff, that’s good to know, I’m glad that folks can get started with the full sized goats for similar cost. And, I agree that if you plan on hand-milking Nigies, it’s important to buy from lines that have been bred for easy hand-milking and have good teat size. Lesa I think also the cost of original start up of a small or large herd typically depends on the area and location of where you live most people starting out don’t want to drive hundreds of mile to spend 500 dollars on a goat unless they are looking to keep a certain bloodline in my area you can normally purchase the Nigerian doe for around a 100 dollars with good milk production and yes it is much cheaper than the Alpine or Nubian or larger breeds that around this area cost generally around 3 to 500 per head I started out with 3 does and one buck on a half acre lot in my backyard I am now up 20 head but my start up cost was less than 500 dollars this is why I chose the Nigerian breed even with a half acre there is plenty of room and plenty food and grazing for them they are much more cost effective and less maintenance than the larger breeds the milk is amazing thank you for your help. Keith, I certainly agree, it can vary widely depending on where you live and the bloodlines you are purchasing. And, I do think that they are generally more cost effective, easier to maintain, and have the greatest tasting milk! How much milk does a Nigerian dwarf goat give in a day? are they milked twice a day? Hi Christin, you can milk Nigerian Dwarves once a day, twice a day, or even three times a day if you’re looking for maximum milk production. It’s most common to milk them twice a day. As far as how much, it depends on where they are in their lactation (they give the most right after kidding) and whether they are from good milking bloodlines, but good does will give at least 2+ quarts of milk per day. If Santa brought me a Nigerian Dwarf goat for Christmas I would be the happiest girl ever! Joking aside, this is exactly the breed I want when we get our own land and can have animals! I’m a little bit obsessed with goats and have loved learning more about them. Nicole, I really hope Santa brings you a couple of Nigerian Dwarves for Christmas! Maybe not this year, but soon. I really can’t say enough about how great the goat milk is, how easy they are to care for, and that we’re so glad we chose them as the breed for us. I have raised several different breeds of goats though I confess I gave up on them and got a Jersey cow (with absolutely no regrets!!) but I find it interesting your area sells registered full sized goats for a grand??? SERIOUSLY??? Here in Michigan registered Nigerian Dwarves can often sell for $300-$500 each even as newly born kids. Registered recently freshened decent producing Alpines are only $250. Hi Amanda, there are all kinds of different price level ranges out there for goats, but I find that it costs just as much to care and feed for a great goat as it does for a poor one, and so try to purchase registered goats with great milking and conformation genetics. I think they pay for themselves with lots of milk, great kids, and few health issues. The inexpensive Alpines are often goats that give goat milk and goats in general a bad rap, because they don’t produce great tasting milk and can have lots of issues. How easy is it to sell the kids? I would love this goat, but worry I would be stuck with the kids as i might find them hard to sell. 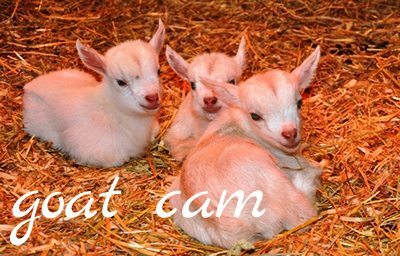 I know they are a milk goat and not for meat. I mainly want for my own raw milk or I just would buy, and to make butter. I know the pygmie doesn’t make as much milk – but he can also be eaten if you are unable to sell the kids. I do not mean to sound mean, but I think it is cruel and wasteful to people who are starving to waste food. As much as i wish eating meat wasn’t part of life. But it is. Hi Mary, Nigerian Dwarf goats have become very popular so I’m having no difficulty selling the kids. Also, there is nothing that says you can’t use a Nigerian Dwarf goat for meat, I know quite a few breeders who definitely do that with the excess bucks. 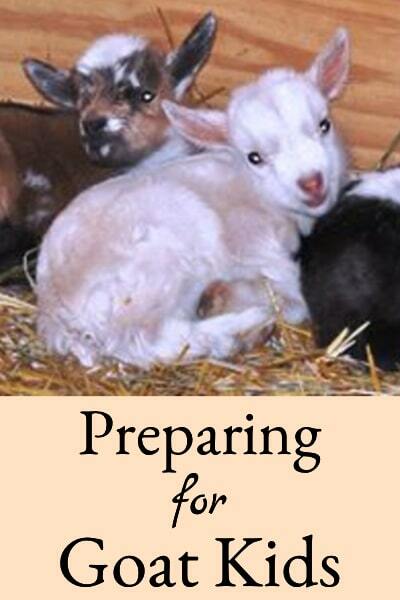 How can I be sure my goat milk Is safe to drink?